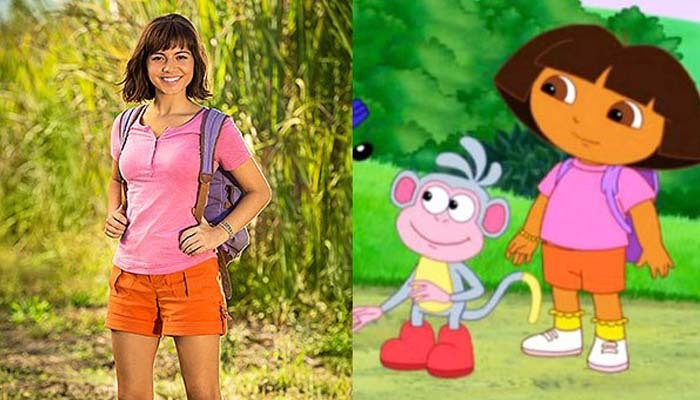 AUSTRALIA: Dora isn’t an eight-year-old kid in the upcoming movie as “Dora the explorer” franchise reveals first look with lead Isabela Moner. The 17-year-old American actress took to Instagram to announce her upcoming live-action film for which she was casted in May to play a teenage version of the Nickelodeon character. Moner already has experiences with big blusters including last year’s Transformers: The Last Knight— and with director James Bobin’s project, Moner shares that he’s very excited to bring Dora to life. “I grew up watching the show, and for me, especially as a Latina, Dora was an amazing role model — she is a strong, adventurous and fun-loving girl," she said in May upon her casting. The film's cast includes Micke Moreno as Dora's cousin Diego, Adriana Barraza as Dora's grandmother, Temuera Morrison as Powell, and Mexican movie star Eugenio Derbez as Alejandro, a "mysterious jungle inhabitant" who tries to protect Dora and her friends. With Platinum Dunes on the set, production on the film has officially begun in Australia, with Nick Stoller’s script. Paramount Pictures will give out the kids’ favorite in August 2, 2019.